for the most efficient, and most effective training experience. Do You Want to Deliver Better Results to Your Clients? Personal tracking devices are becoming more advanced. Is your facility able to exceed or build on the data that clients get through their phone? 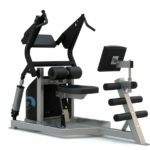 We were frustrated by the lack of products that could safely and accurately deliver eccentric strength training and statistical tracking. Our management team has been working for nearly 10 years developing, using, and refining our products. Athletes to grandparents have thrived on our efforts. 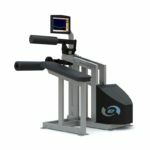 By utilizing Iso-Velocity Technology, testing, exercise, and rehabilitation are administered and recorded in a computer controlled environment, eliminating external elements such as technique, inertia, speed and range of motion; all of which can skew results. 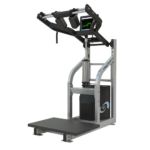 Capability based exercise is the single most effective way to elicit a positive response from muscle, tendon, bone and the central nervous system. 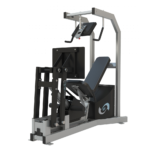 Include eccentric training and the user’s response is off the charts! Experiencing these products is very important. You will quickly see a new world for your business, your services, and your customers. 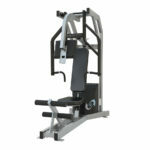 We will guide you through set-up and training. We will then install our Intelligence Platform for complete data security and lifetime service, support, and maintenance of the technology so you can do what you do best. Your staff will be armed with detailed information about their clients to encourage and reinforce your value to their well-being! Your clients will look to you as the expert. 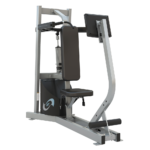 Eccentric training, statistical analysis, a controlled environment. A state of the art investment in your future with an always evolving software platform to keep your investment up to date. Technology has taken us to an age where statistical outputs are not just a nice feature, they are EXPECTED and REQUIRED by the client. This is not about knowing “how much you bench”. This is about understanding your key biometric indicators and how your body is aging.